Are You Intentional When Sharing Your Faith? Blog Are You Intentional When Sharing Your Faith? No matter how long we’ve been Christians, talking with unbelievers about Jesus can be intimidating. How many times have we had opportunity to broach the subject only to feel that we’ve blown it? Either we fail to speak, or we do speak but fail to convey our conviction. 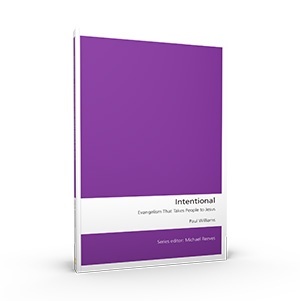 In his book, Intentional: Evangelism That Takes People to Jesus, author Paul Williams explains how to balance confidence, compassion, and conviction when explaining Who Jesus is and why He came. If you're looking for help framing your conversations about the truth of the Bible, Intentional provides practical, step-by-step advice for preparing your talking points, navigating the discussion, and explaining the saving work of Christ as part of God's sovereign plan for human salvation. Answer questions with confidence. Order Intentional today.